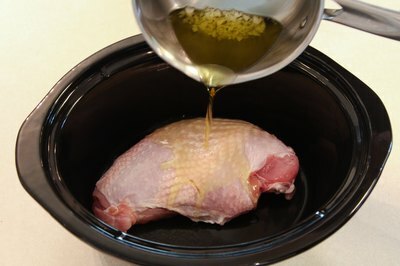 A slow cooker, such as a Crock-Pot, is a wonderful way to cook a turkey breast. 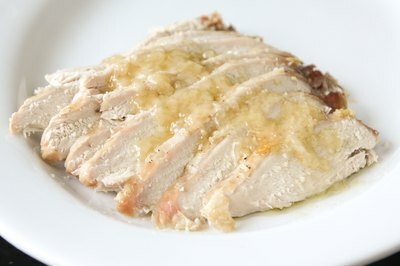 Due to the long, slow cooking process, the turkey breast turns out flavorful, moist and tender. Your home will be filled with the savory scents of roasting turkey as the turkey breast slowly simmers in the cooker. 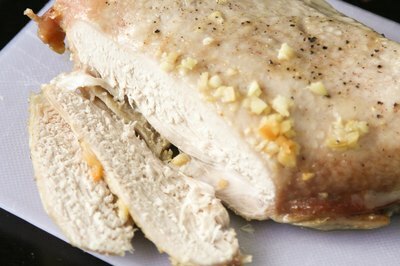 Place the turkey breast into the slow cooker along with a few simple ingredients, and several hours later you will be serving delicious roast turkey. Wash the turkey breast under cold water and towel it dry with the paper towel. 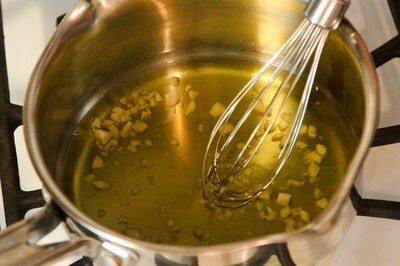 Whisk together the melted butter, oil and minced garlic. 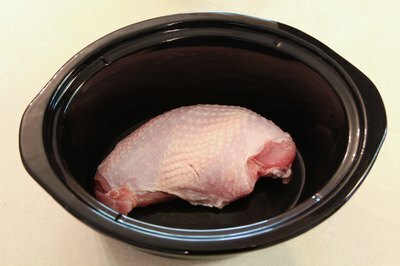 Place the turkey breast into the slow cooker with the skin side facing up. Pour the mixed ingredients over the turkey breast. Sprinkle salt and pepper over the turkey breast. Place the cover on the pot and set it to high. Cook on high for 1 hour. 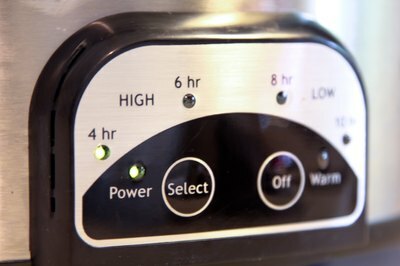 Then reduce the temperature to low and cook for 4 to 5 more hours. Check the temperature of the turkey breast with the meat thermometer. The meat thermometer should be placed into the thickest part of the breast without touching any bones. If it registers 165 degrees, the turkey is done. Turn the slow cooker off and cover to keep the turkey breast warm. Mix 2 tbsp. cornstarch with 2 tbsp. cold water in a small measuring cup. 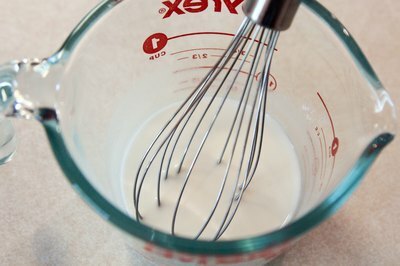 Stir until it is completely blended. Drain off the cooking juices from the crock pot into a saucepan. Heat the juices to boiling and reduce the heat down to medium-high. Add the cornstarch mixture and stir well. Continue stirring until the mixture thickens into a gravy. Remove from the heat. Remove the turkey breast from the cooker and place it onto a plastic cutting mat. Slice the turkey breast into thin slices. Place the turkey breast onto a serving platter and pour some of the gravy over top. Pour the remainder of the gravy into a serving dish.